The Parks and Recreation Committee is tasked with overseeing all outdoor activities which include the Town’s several parks, Kirk, Truskett and Florence as well as the Kirk Park Community Building, walking and biking trails and special events. 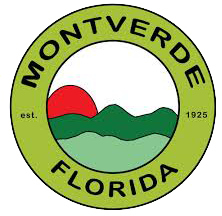 Montverde Day is a huge event for the Town and the committee’s role is to promote and advertise the event, sell the vendor booths, recruit sponsors, food vendors, volunteers and also to create the days entertainment within a budget laid out by the Town. Montverde Day takes place in November. Other events include the very popular Concerts in the Park, usually three which take place in March, April and May. The concerts are hosted in Kirk Park with food and drinks provided for sale by one of the local restuarants. This is a great opportunity to showcase local bands and artists. For several years now we have also hosted Montverde’s Idol. Based on the popular television program, ten contestants compete for prize money and the winners also get the opportunity to perform as part of the entertainment on Montverde Day. In 2016 they are looking to expand the event to include ther types of entertainers. Light up Montverde takes place at he beginning of December in the parking lot at Town Hall. Several of our local choirs and musicians entertain with Chritmas Carols following the lighting of the Christmas Tree. Santa arrives on the Fire Truck with Sparky the Fire Dog to hand out candy to the children. Weather permitting a seasonal movie is shown on the big screen in Kirk park where there is a bonfire for roasting s’mores, hot chocolate and hot dogs provided by the Fire Department. No meetings found in this category.